Hello! 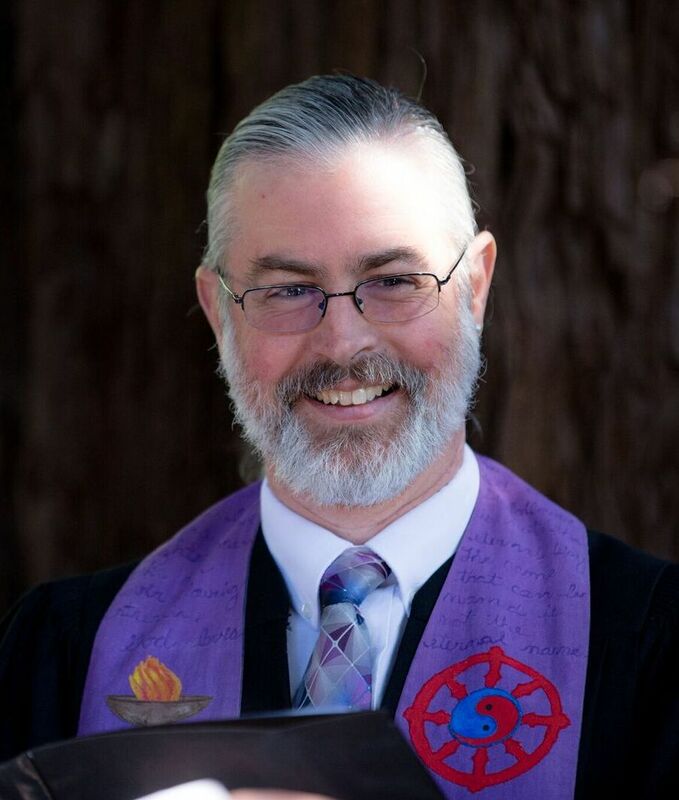 I’m glad you’ve found us here at the Unitarian Universalist Congregation, Santa Rosa. For more than a half-century, we have been serving the liberal religious community in Sonoma County, and for the last ten years we have done so from the Glaser Center, our beautiful community and artistic center in downtown Santa Rosa. Worship on Sundays is the heartbeat of our community, with services filled with feeling, stirring and diverse music, opportunity for deep reflection, and meaningful preaching. We support families and children with a rich children’s religious education program on Sunday mornings and childcare for the littlest ones. I’m personally delighted to help lead our thriving teen group, too. Our ministries include a weekly breakfast for hungry people every Saturday, a speaker’s series on local justice issues, artistic and cultural offerings, weddings and memorials, men’s and women’s groups, and a whole variety of spiritual practices and educational offerings. We are also proud to be a voice for the common good through our membership in the North Bay Organizing Project and other coalitions. 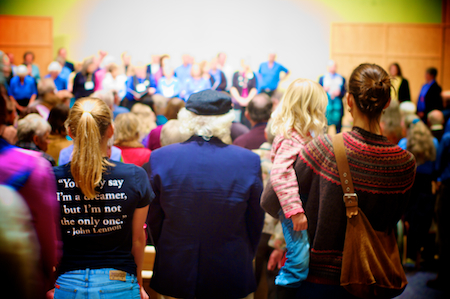 Our congregation is just one of 1000 in the Unitarian Universalist Association, a centuries-old American religious tradition. I feel very grateful to be the minister, as well as a member, of this strong and growing community. I look forward to meeting you! Wondering what a Unitarian Universalist congregation might be like? It’s easy to find out. Just visit our online photo gallery. You’ll discover the friendships, spirituality, creativity, laughter, support, determination, and varied interests that make UUCSR such a welcoming community. Unitarian Universalists are deeply committed to the democratic process. UUCSR is led at all levels by our congregation’s own members. UUCSR’s elected board of trustees is responsible for long-term management, while day-to-day decision-making takes place in our councils and committees. Visit the board of trustees page to meet our 2017-2018 board members.